It is simple and but tasty and fragrant dish, which is prepared relatively quickly. 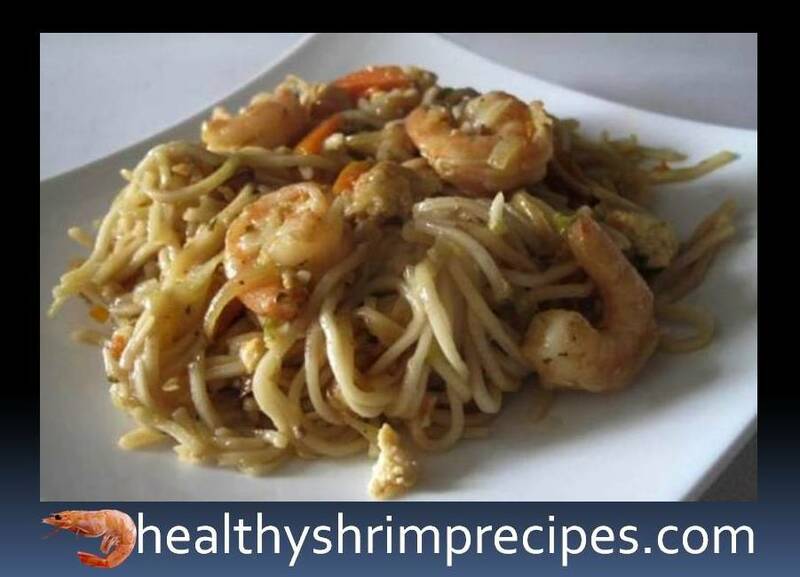 Healthy noodles with shrimps and vegetable recipe are excellent dish seafood lovers for dinner. Noodle dishes are just as popular in China as are rice dishes. Noodles in China produce different: egg wheat, rice, buckwheat. 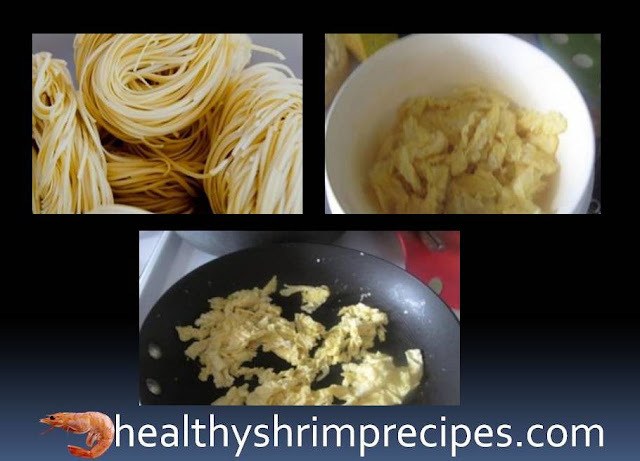 Today I invite you to cook Healthy egg noodles with shrimp recipe. 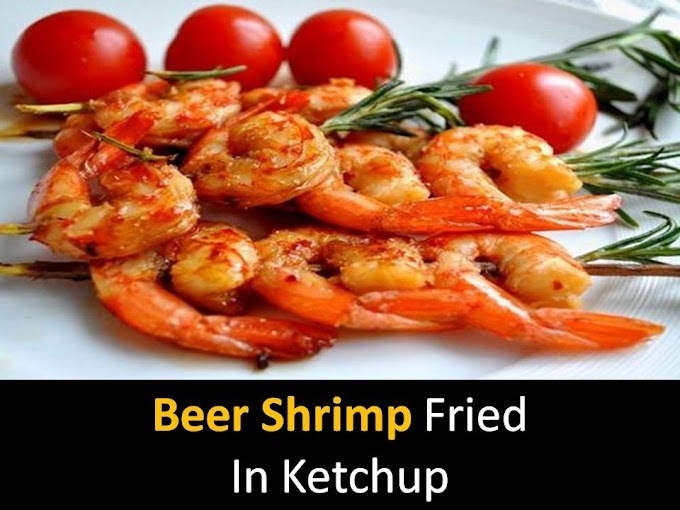 And we will cook it with shrimps. Well, vegetables, of course, without them anywhere. A fragrant and tasty dish is perfect for lunch or dinner. It is prepared easily and quickly. Steps 2 - Beat the eggs with a fork until smooth. Heat a teaspoon of butter in a frying pan and fry the eggs, pouring them into the pan in a thin stream and mixing. Steps 3 - Transfer eggs from the pan to a plate. Steps 4 - Peel the vegetables. Cut the carrots into thin strips, the onions into half rings, and chop the garlic finely. 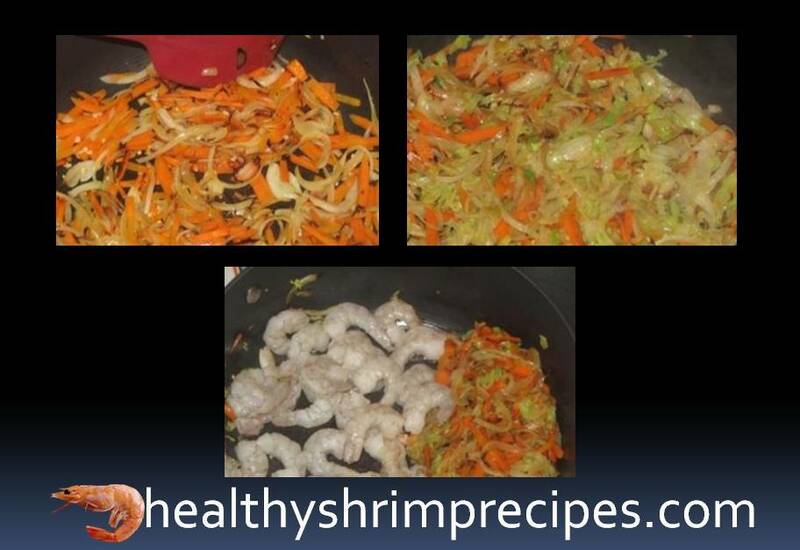 Heat the pan, add a tablespoon of oil and fry onions, carrots, and garlic for about 3-4 minutes over high heat. Steps 5 - Add finely chopped cabbage and fry for 2-3 minutes. Steps 6 - Roasted vegetables can be removed from the pan, or you can simply move aside. Add another spoonful of butter and fry just 1 minute of shrimp. 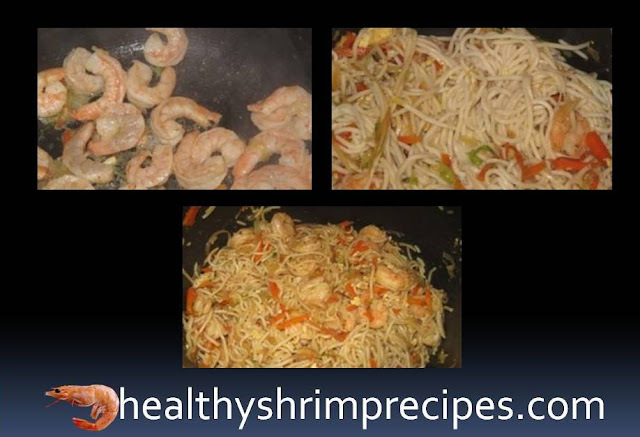 Steps 7 - Shrimps should be about such beautiful color. Mix the shrimp with vegetables. Steps 8 - Add noodles and eggs to the pan, stir. Add soy sauce and teriyaki, sugar and broth. Steps 9 - Stir and fry for about 2 minutes.